[It was suggested to me that I should start a weekly post on random occurrences around the great Charm City. Whether it be a funny video, a sweet story about a local, a bar scene to hit up or just anything in general, miss charm city sportaholic will be bringing that to you. Some of the fine ladies of Serafino's that will be in attendance Sunday, May 16. Every sports fan loves a good drink to go with the game. And after a win or loss, well win or lose the best fans still booze! Tonight, your very own Charmcity Sportaholic will be slinging drinks back behind local Ellicott City bar, Serafino’s. There will be beer pong and super Mario Kart 64 as well as myself and Stephen Gruss—the infamous bartender who asked me to guest bar-tend. Will this be an interesting night? You bet. And with the O’s playing their third game against Cleveland—and trying to win so they can take the series—you might want to stop by for a drink on your way home. Friday night, the O’s had a tremendous game, winning 8-1 with help from recently called up Corey Patterson when he had one hell of a catch that would have been a home run. However, Saturday the O’s fell 8-2 to the Indians. So tonight is the night for the O’s and for you to come to Serafino’s to either celebrate the O’s finally starting to get it together, or drown you sorrows with 13 drinks—one for every season the O’s have disappointed us. For all of you lovely people out there enjoying the beautiful day at Wine in the Woods, stop by and say hello. And remember—win or lose, a true fan will still booze. Cheers! Texans linebacker Brian Cushing will keep his Associated Presss Defensive Rookie of the Year award that he won back in January after a revote at noon today. 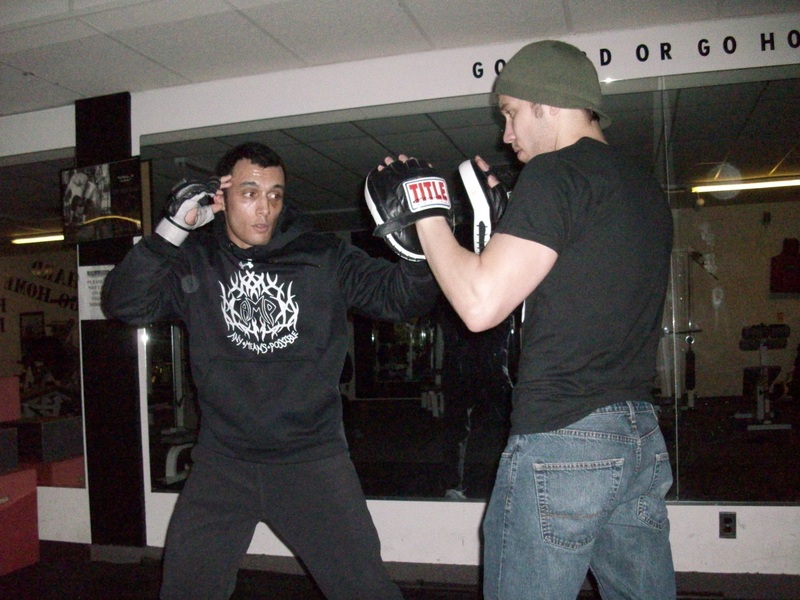 Cushing was accused of taking performance enhancing drugs and he tested positively for them back in September 2009. 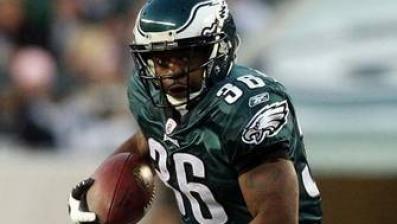 He was suspended by the NFL for four games without pay for violating the NFL drug policy. The Houston’s opponents: Indianapolis, Washington, Dallas and Oakland. During the revote, where Cushing originally had 39 votes, received 18 out of 50 votes on Wednesday. A hodgepodge of sports writers and broadcasters voted, but three voters were “unavailable” and two abstained from voting, including ESPN’s Chris Mortensen. Cushing did lose his spot on the All-Pro second team, for which he originally had five votes and now has just one. 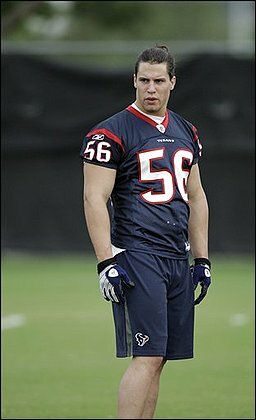 While Cushing says he never took any type of steroid, he tested positive for HCG, a fertility drug that is on the NFL’s banned substance list. This was the same drug that led to the Dodgers’ Manny Ramirez’s suspension last year. Bills safety Jairus Byrd received 13 votes, Green Bay linebacker Clay Matthews III had 10 and Washington’s LB Brian Orakpo had 3. What does this mean for sports—changing the adage that cheaters never win to “cheaters win twice”? After this re-vote, sports fans should wonder why sports like football, boxing, etc. are not looked at or punished as much as baseball players are. What are your thoughts? A University of Virginia lacrosse player was found slain in her apartment on May 3. Yeardley Love, a native of Cockeysville,Md. and an alumna of Notre Dame Preparatory, a Catholic all-girls high school in Maryland, was found dead in her apartment with signs of physical trauma. Another UVA lacrosse player, George Huguely, was arrested earlier today and charged with first-degree murder. Huguely and Love had previously been in a relationship according to witnesses. 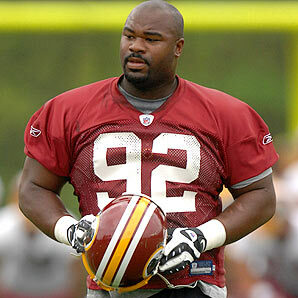 Huguely is from Chevy Chase, Md. and graduated from Landon School, Bethesda, Md. Love’s roommate called police around 2:15 a.m. thinking Love had overdosed on alcohol, but when the police arrived “it was quickly apparent to them that this young lady was the victim of something far worse,” Charlottesville Police Chief Timothy Longo told The Associated Press. Love, who was from this area and played lacrosse at NDP, was well-known. Baltimore city has incorporated a new outlook for football as the city is now participating in the Lingerie Football League (LFL) as the Baltimore Charm. The league is an all-female league where the girls wear lingerie-type uniforms as they play full-contact football. Over the weekend on May 2, at First Mariner Arena, LFL held tryouts for Baltimore Charm that brought a crowd of girls with bare mid-riffs and showing cleavage with full make-up—but don’t think these girls don’t know how to take a hit or sprint down the field. A student at Towson University tried out for the Baltimore Charm after her roommate found an article about it, so they decided to try out together. About 70 people tried out for the Baltimore Charm Sunday. It will be the newest in the 10-team Lingerie Football League. So far, the LFL has peaked interest in some and caused racy sneers from others. The trial for the tragic murder of the Denver Broncos cornerback Darrent Williams in 2007 in a drive-by shooting was finally put to an end as the man who shot Williams was sentenced Friday to life in prison plus 1,152 years. Willie Clark, a gang-member, shot Williams on New Years 2007 in a Denver nightclub after an altercation with former Bronco’s wide receiver Brandon Marshall. 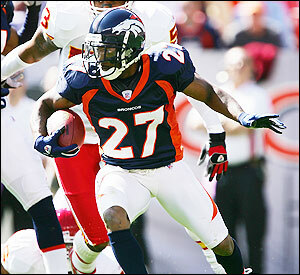 Darrent Williams, the former starting cornerback, kick and punt returner for the Denver Broncos, was killed in 2007. According to witnesses who testified during the trial, Clark did not like the fact that the famous athletes were getting star treatment. After the Bronco’s players left the club, Clark jumped in an SUV and followed the stretch Hummer limo were he fired a round of shots, fatally hitting Williams. He died in teammate Javon Walker‘s arms.